The company has said it faced “some serious business” challenges in recent months. 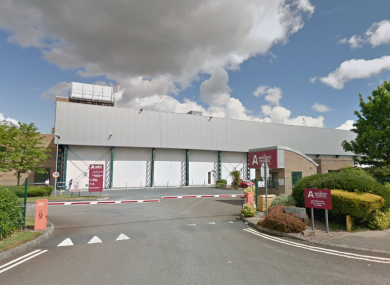 DUNDALK-BASED FOOD company Authentic Food Group is to close with a loss of nearly 170 jobs. The company was today granted permission by the High Court to appoint joint provisional liquidators to AFC Manufacturing Ireland, which acquired the Dundalk plant from Heinz in 2015. In a statement today to the Dundalk Democrat, Nik Basram, managing director of The Authentic Food Company, said: “We have faced some serious business challenges in recent months that have been specific to this site. Staff members at the plant are represented by the Unite Trade Union whose representatives have met with the liquidators. Speaking today, Unite’s Senior Officer in the Republic Brendan Ogle said that there were “serious concerns” surrounding the liquidation. Ogle said that he will be writing to Business, Enterprise and Innovation Minister Heather Humphreys for an urgent meeting. Unite will meet with liquidators again on Monday. “After meeting the liquidators again on Monday, we will be holding a General Meeting of our members to update them. Unite will also be engaging with local political representatives and state agencies in an attempt not only to clarify the legal situation but to chart a way forward for the plant and our members’ jobs. Email “169 jobs to go following Dundalk food plant closure”. Feedback on “169 jobs to go following Dundalk food plant closure”.